We at Peachtree love to learn about different ways people promote and encourage literacy among children. 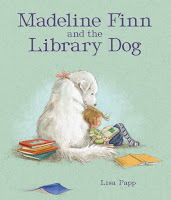 Having recently published Lisa Papp's picture book Madeline Finn and the Library Dog—the story of a reluctant reader who develops a love of reading with the help of a beautiful and patient library dog—we were inspired to learn more and help spread the word about these fantastic programs! R.E.A.D. 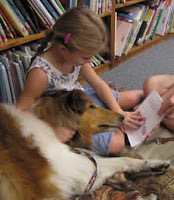 (Reading Education Assistance Dogs) is the foremost organization in the country that coordinates library dog programs. 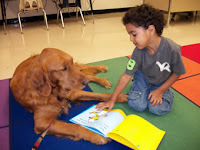 They started out in 1999 as the first comprehensive literacy program built around the idea of reading to dogs, and they now have more than 3,000 teams throughout the world working to help readers gain confidence in their reading with the help of a furry friend. This week, we spoke to R.E.A.D. executive director Kathy Klotz to ask her for some pointers on establishing these library dog programs in your library. 1. Make sure to utilize only therapy animal team volunteers who have been screened, trained, licensed and insured. Not just an employee’s dog, not a service dog, not a friendly neighborhood pet that someone knows of. You want dogs who have been carefully screened and trained for this kind of work, to assure the health and safety of your patrons. 2. Hold an initial meeting with the therapy dog volunteers to clarify the procedures and expectations for both sides of the equation—library personnel and volunteers. This is crucial—you need to establish where in the library the animal interactions will best be located, the logistics (time, day, frequency, length of sessions), and how to handle the scheduling (sign-ups or drop-ins?). Will you be setting up a special theme and display for the days the dogs visit? It’s vitally important for everyone to know who will be responsible for what, to make sure you all understand one another. 3. Publicize your new program well in advance. forewarn those who may need to avoid coming during those times due to risk of allergy. Use fun posters, your library newsletter, PSAs, any resources you may have. 4. Make sure your personnel and your volunteers are clear on the way you want your program to work. Be ready to do some fine-tuning. It can take awhile for everyone to find their groove. How will you handle crowd control and interruptions? Are the chosen spots—not private, but reasonably free of noise and traffic—working out? Are the chosen days and times appropriate for the traffic in your children’s library? There are endless things that may come up to surprise you all, and flexibility will help everyone keep improving your program. 5. Keep up the ongoing communication with your therapy animal volunteers. We all want the best for the children and families who visit your library. The volunteers want to be on your team, and they will want you on theirs, as well. 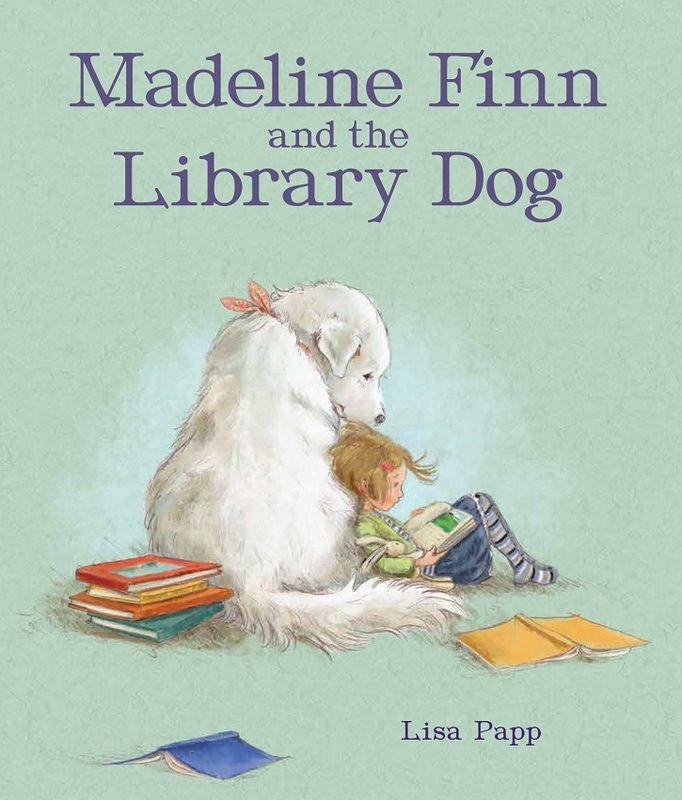 The library can get very busy, as you know, but it’s important for someone on the staff to be keeping one eye on the dog interactions in case they need help (freedom from interruptions, overbearing parents, too many interested kids at once, etc.) Any small misunderstandings or difficulties can easily be smoothed away when library staff maintains clear and frequent communication with the therapy teams who work with you. If you are interested in learning more about these programs and establishing one at your library, check out the R.E.A.D. website for more information! And go to librarydogs.com for more adorable photos and great information about library dogs!